Here's an equation for you numbers lovers: if the average American wedding (according to TheKnot.com's 2013 survey) is $29,858, and the generally suggested amount to allocate for flowers is 8 percent, then couples nowadays are assuming more than $2,000 to spruce their celebrations. Not local architect and newlywed Brianne Culley, though. 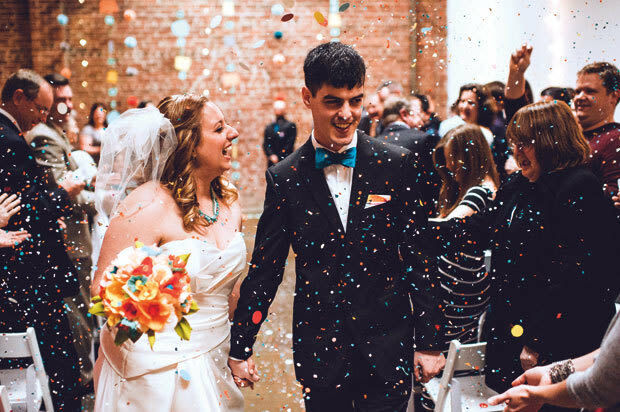 She managed to come in at a fraction of that figure—around $300—by hand-making every one of the wedding flowers out of crepe and tissue paper for her April 5, 2014 nuptials to Erik Tomlin in Seattle. And it wasn't all about the budget. 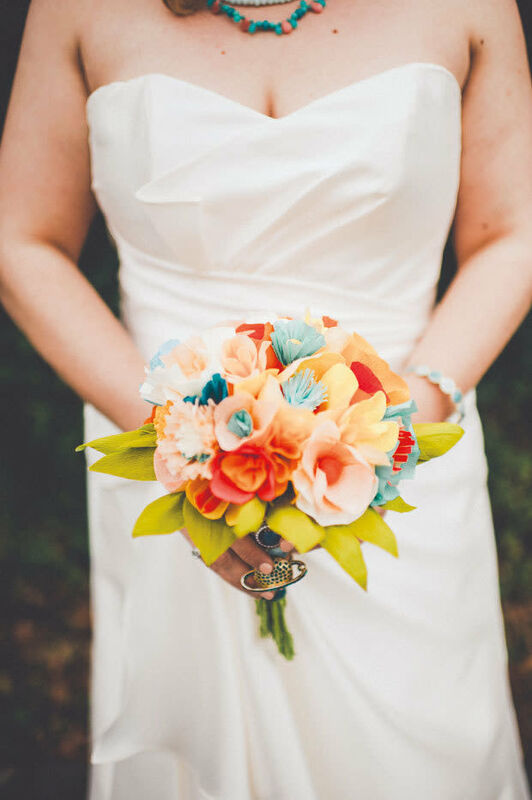 "I wanted to have some control in using bright, vibrant florals to match our colors," she explains. "I'd also always intended to feature some big handmade element. Paper flowers seemed like a unique and fun challenge." 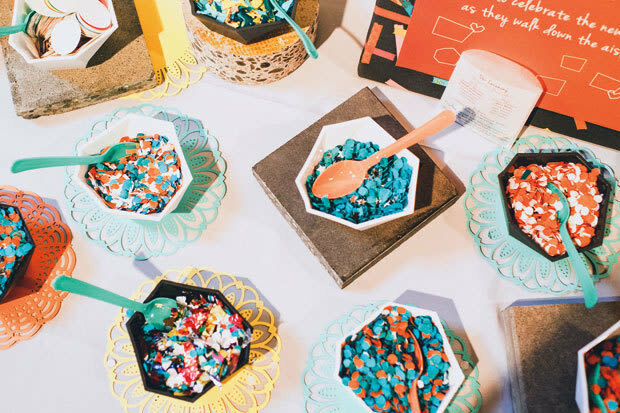 To execute the project on such a scale, Culley collected a crew of bridesmaids and friends, who set up work stations at her bridal events and crafted blossoms from their homes in the months leading up to the big day. The result? Palette-perfect sprays of vivid faux blooms that have no risk of wilting and make sentimental take-home gifts for a generous bunch. 1) Culley scoured Pinterest and used the book Petal to Paper to find inspiration and instructions. Once she'd landed on a few favorites, she and her helpers made over 600 flowers in about five months. Culley styled the final bouquets and centerpieces in 10 hours. 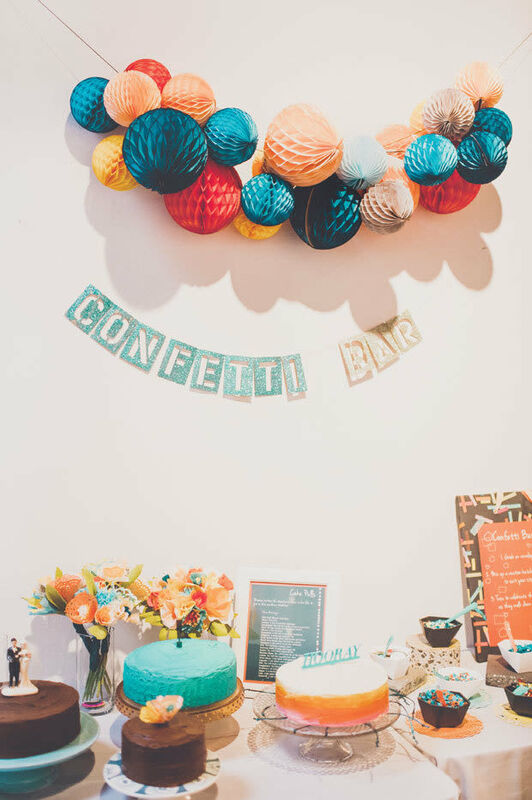 2) The bride also fashioned a confetti bar for guests to dish out and toss up while on the dance floor and in the photo booth. Check that your venue allows such a scattered celebration, reminds Culley, and prearrange a cleanup plan. 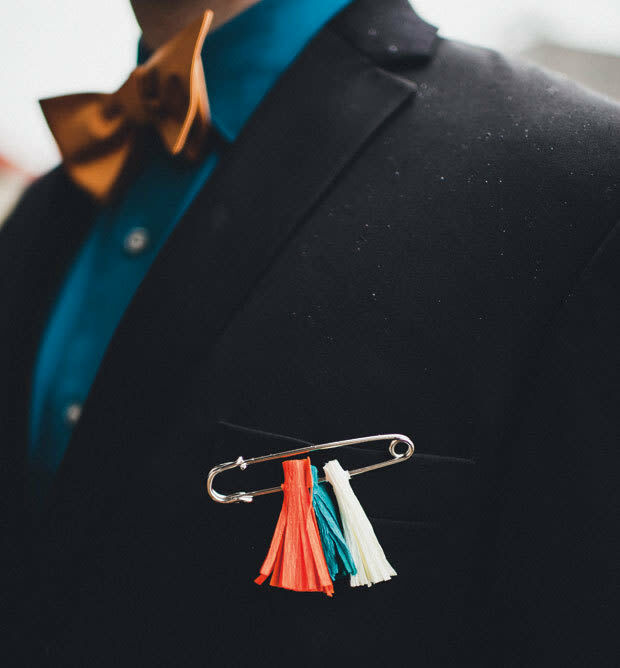 3) Groomsmen got in on the action with bright boutonniere tassels held together by kilt pins. 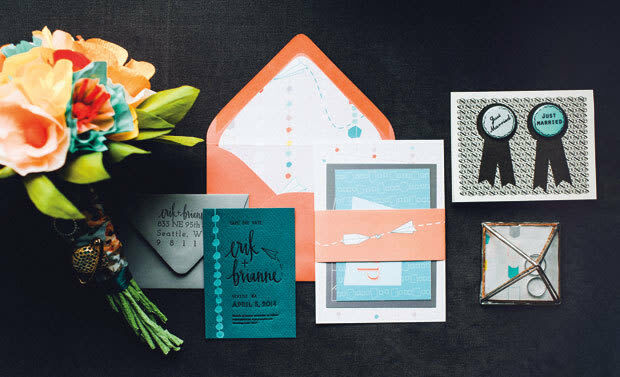 4) Ever the paper aficionado, Culley even served as her own stationer, producing invites and announcements based on a pattern that she developed with designer Tammie Bennett. 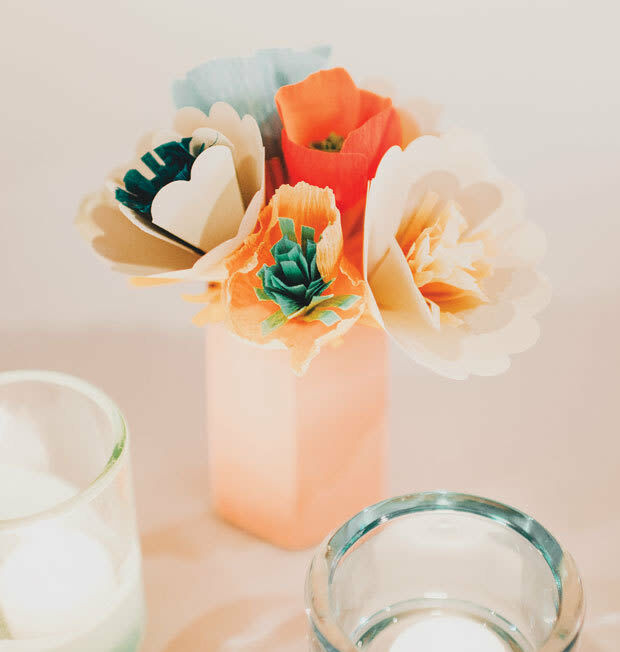 5) Materials included crepe paper of varying shades and thickness, coordinated tissue paper, cloth-wrapped wire "stems," and dry floral foam, all held together by carefully placed hot glue.